A Filmed Theatrical Keynote followed by a virtual Q + A with Victoria! “The virtual q & a session was incredible. Would you like Victoria come to your area but can’t afford a live performance? 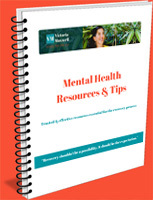 Are you looking for effective workplace mental health education for your staff? Here’s your opportunity to have all your questions answered by Victoria, an international expert in the lived experience of mental illness, recovery and return to work. Victoria is available for a live question and answer period following the screening of her theatrical keynotes. Get all the benefits and mental health education from a live performance with a significantly reduced cost. After viewing the keynote, spend time with Victoria, an international expert on the lived experience of mental illness, recovery and return to work to answer all your questions. Done via Skype, Zoom or teleconference, up to 60 minutes. Choose from her three award-winning theatrical keynotes. Screen one of Victoria’s shows and have her Skype or call in for a LIVE ‘Q & A’! Eligible CEU’s (continuing education units) for staff and may be eligible for extra credit for students. Objectives and CV available upon request. Pay online with a requested date (optional). Victoria will contact you to discuss and confirm date and arrangements for the screening and Q & A. You may also email her at victoria@victoriamaxwell.com and book the Q & A first and pay later by invoice. 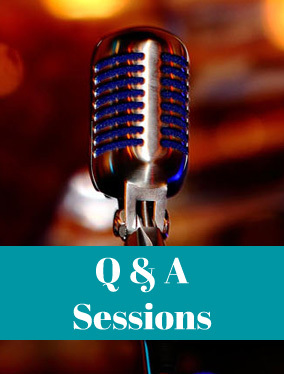 *If you have limited resources and can’t afford the ‘Q & A’ cost, please feel welcome to email Victoria. Victoria wants her keynotes and services to be accessible to as many people as possible.